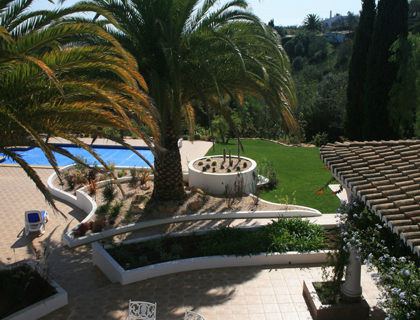 Since we began landscape gardening on the Algarve in 1995, we have created hundreds of beautifully landscaped gardens of a variety of shapes, sizes and budgets. Our impressive landscape gardening portfolio covers a vast range of garden designs to suit all needs using innovative irrigation systems and the latest technology. 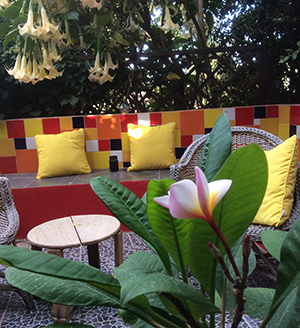 Once we have designed your garden using our landscape stylist, we start to make it a reality. 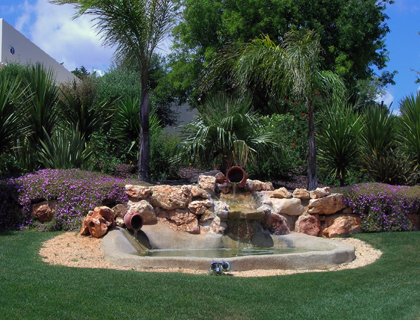 It is essential throughout the Algarve, that each garden needs to install an adequate irrigation system. With longer, hotter summers and drying northerly winds, it is imperative to keep the garden healthy throughout the year. This needs to be properly installed using recognised parts such as Hunter, Rainbird and Nelson with fittings from Plimat or Unidelta. Due to the ongoing climate changes, and declines in water reserves here on the Algarve bringing higher water bills, we as landscape contractors, have to adapt to environmental conditions. 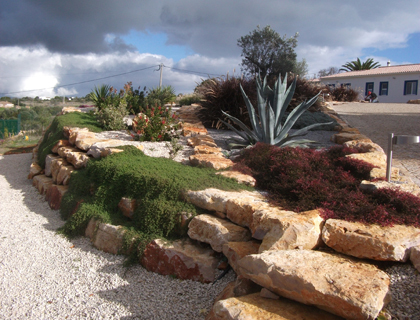 Back in 2000, we started to offer clients alternative landscaping ideas to large areas of lawn by introducing low maintenance gardens on the Algarve with a range of styles and contrasts to keep both maintenance and water costs down. These days, a large proportion of our landscaping business involves taking out once prized lawns in favour of more cost effective solutions. This doesn't mean you have to give up your English style garden. Fortunately new technology and a competitive market has created synthetic grasses that really do look like the real thing. We can create gardens to whatever size and whatever budget, transforming your outdoor space to suit your individual living habits and tastes. From small courtyards to rambling estates, no job is too difficult for us.